Steve Hanes began pole vaulting at age 7. He established new National AAU Jr. Olympic records and won the National Championships at age 13 and age 15. At Ottawa High School (Kansas) he won 3 State Outdoor Championships and 2 State Indoor Championships and established a new Class AAA State record at the time. Steve still holds the Ottawa High School record in the pole vault at 15’. After 35+ years of retirement from track and field, Steve began competing at the Master’s level and is nationally and internationally ranked in the pole vault, 100m, and 200m. (see www.masterrankings.com) Steve worked with a number of non-profit organizations in Austin, Texas for over a decade including serving on the Executive Board of the Wine and Food Foundation of Texas. Since 2014 Steve has been a volunteer coach at Key West High School. Steve is listed on the USATF’s Coach’s Registry. 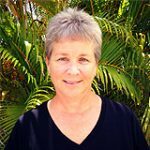 Caroline Bauer is very involved in the local sporting community including pickleball, golf, tennis, and all things water-related, skiing, kayaking, exploring and, a favorite, snorkeling. Caroline is a former Board member of the Key West Pickleball Club. She is a licensed Florida Real Estate Sales Agent in Key West. 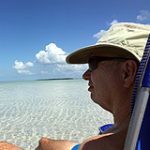 Before moving to Key West Caye was a plant manager for a large sporting clothes manufacturer. Donna has over 34 years in Healthcare and Healthcare Informatics. 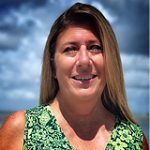 She is currently the Clinical Informatist, IT Director and Facility Security Officer at Lower Keys Medical Center in Key West. When she is not at work she can be found diving, paddle boarding or kayaking around the Keys.